Four new designs have been released as part of Mykita’s Lite Collection. Large and striking, the square Velma and round Lovisa combine 70s femininity with modern style. The Lovisa has an extremely thin, full-rimmed frame then run down to equally delicate temples and tips. An unusual parallel double bridge gives the design a real flare. 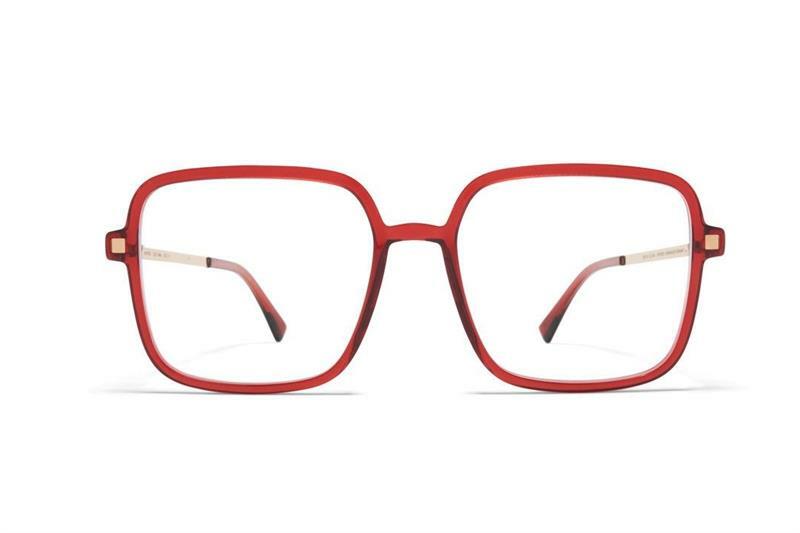 Niba, pictured, goes bigger and bolder with large, square frames coated in a thick red rim. Golden lug details ease the transition to the temples, which are topped off with matching red tips. It comes in the colourways of transparent limpid-silver and ruby-champagne gold.